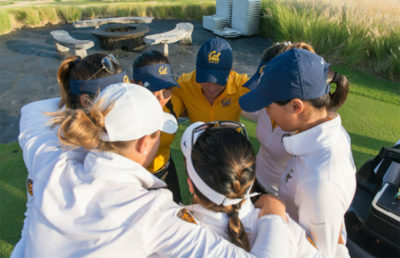 For the third time this season, the Cal women’s golf team played 36 holes in one day. For the first time this season, that was all that it played. The second day of the Nanea Pac-12 Preview was canceled because of weather, and the standings after the first two rounds became the final standings for the tournament. Fortunately for the Bears, their first two rounds of the tournament were their best two rounds all season. While playing 36 holes in one day can be physically and mentally grueling, the Bears finished the day third overall out of 11 teams — their best placement all season. The Bears took home bronze, behind only Stanford and UCLA, the latter of which won the tournament. This top finish comes after the team had by far its best tournament of the season less than a week ago at the Stanford Intercollegiate, where it finished fourth overall. In the first round of the day in Hawaii, the Bears showed no signs of fatigue from travel as they jumped out to an incredible start. Junior Marianne Li had the team’s best score of the first round, finishing at -1. Li, who was coming off of her best finish last week in Monterey, seemed to carry her poise and focus throughout the first round, as she shot only two bogeys compared to her three birdies. The rest of the team all finished at +1, showing a level of teamwide consistency that the Bears have lacked all season. The second round of the day for the Bears came with more highlights from Li, who shot par for the round, ending the day T-7 overall — her best finish of any round all season. Sophomore Jiyoon Jang also finished in the top 15 at +2 on the day. While not the best finish for the team, perhaps the most exciting results came from senior Marthe Wold. 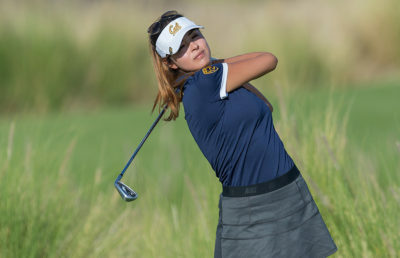 Wold, the veteran for the Bears, has been struggling all fall season to find her swing and make an impact on the course. But this time around, she was able to finish T-26 overall, her best finish all season. This turnaround for Wold included one eagle on the 13th hole in the second round of the day. Although the tournament was cut short, the Bears made a strong impact in their one day of play. Each player across the board had a strong showing, something that the team had not done in any tournament this season. Cal saw veteran leadership and impact from its younger players — something that it will try to improve and bring into its spring season.